UFO Sighted During The Wreaking Of Super Typhoon "RUBY"
A video of Unidentified Flying Object or UFO, was caught during the wreaking of Super Typhoon “RUBY”. The said video was uploaded on Youtube and been circulating on social media like Facebook. The said video was not identified on what locations it was taken or who is the one who take the video? But it is very evident that the weather is dark, cloudy and it might really that a storm is coming? Netizen's are debating on this video that if it is a hoax or not? Maybe another software creation from cellphone or the magic of photo shop? 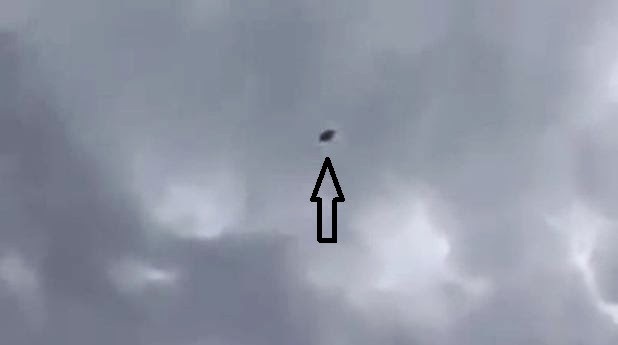 You will notice in this video that the person who is taking the video seem’s to comfortable, no reaction on the thing or UFO that he is taking it, he is to calm that might seem’s that the video is a fraud? But on the later part of the video, when the UFO moves toward the sky, on the part that’s the only thing you might say that is legit? Again, it looks like legit, but the technology we had, everything is easy to fake? UFO or Unidentified Flying Object, is not new in world news, social media news or in Youtube. Lately on huzlers,the site published on the incoming of 6 unidentified object, which believe by NASA an extraterrestrial beings heading towards the earth. Which prove that we are not alone in this world? That Alien being’s do exist. A lot of sightings has been recorded about UFO, a lot of people proven their existence but time will tell if they really show on us on world wide? Let’s wait till December 18, 2014 on the oncoming of extraterrestrial beings heading towards the earth? No Comment to " UFO Sighted During The Wreaking Of Super Typhoon "RUBY" "